Quaint one bedroom apartment that features ground floor entry and no neighbors above you. 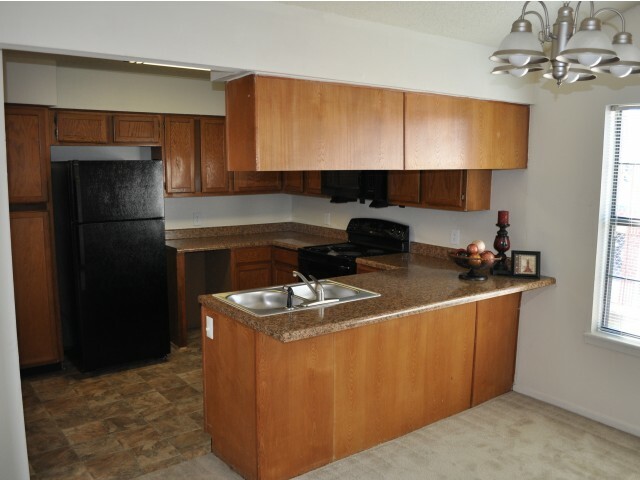 Large kitchen with built in microwave, range, dishwasher, tons of cabinet space and a pantry. The bathroom is accessible from the kitchen or the bedroom. 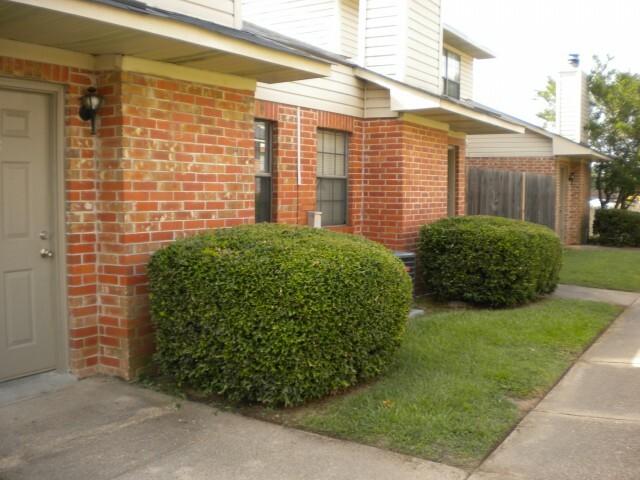 Most units feature a wood burning fireplace and all have a private patio. Lots of natural light from the skylights above. 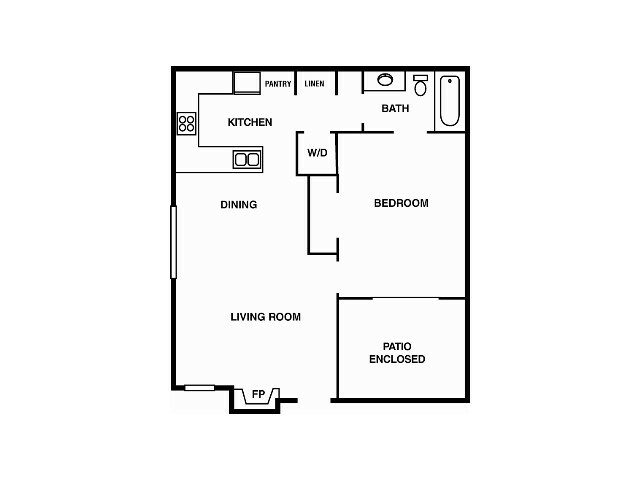 This apartment is always ground floor entry, with no upstairs neighbors! 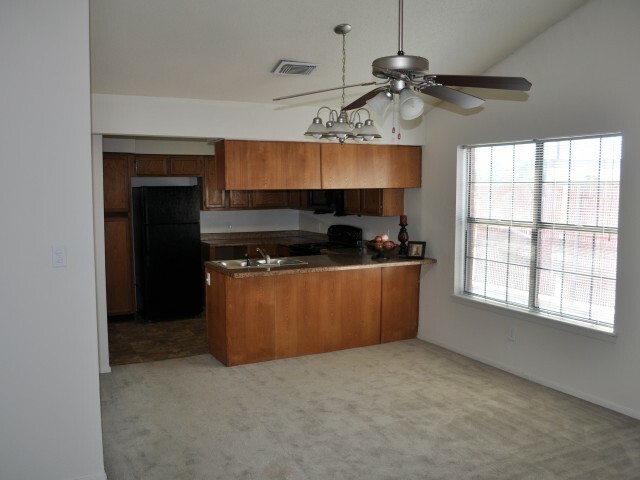 Two skylights let in a lot of natural light and it features a very large kitchen for a one bedroom apartment.